On 18th December 2013, Brazil selected the Gripen NG to be its next-generation fighter aircraft, through the F-X2 evaluation programme. Since then all parties have negotiated to finalise a contract. This announcement marks the successful conclusion of that process. Saab and COMAER have now signed a contract for the development and production of 36 Gripen NG fighter aircraft, plus related systems and equipment. The programme comprises 28 single-seat and eight two-seat Gripen NG. The total order value is approximately SEK 39.3 billion. Saab and COMAER have also signed a contract for Industrial Co-operation projects, including technology transfer to Brazilian Industry, to be performed over approximately ten years. “The contract with Brazil validates Gripen as the most capable and modern fighter system on the market. It solidifies Saab’s position as a world-leading fighter aircraft producer and strengthens our platform for growth,” says Håkan Buskhe, President and CEO of Saab. The contract with Brazil strengthens the ties between Saab and Brazilian Industry. Embraer will have a leading role as the strategic partner in the F-X2 programme. 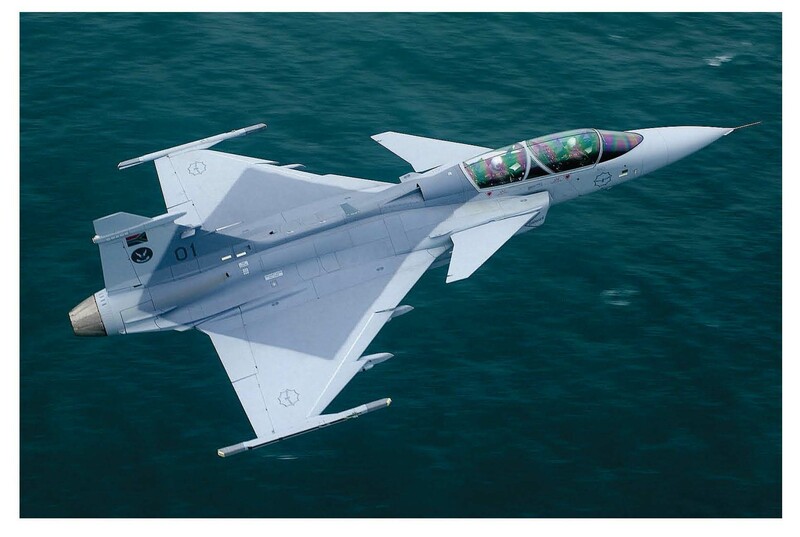 As part of the technology transfer plan, Brazilian Industry will have an important role in the development of, and be responsible for, the production of the two-seat Gripen NG variant for the Brazilian Air Force.